Owner – The DND Group, Inc.
Q. What in your life brought you to the realization that you wanted to improve your Voice? A. “I always knew that I had a voice but what came out of my mouth was not always deliberately connected to the essence of what was inside – of who I am. After some major life changes, and studying yoga techniques using sound, I observed how I was internalizing thoughts and realized that when I spoke it freed my heart and emotions. I have theatre training from college and have always been a speaker and educator; combining that with the personal goal of releasing and understanding how to increase my awareness of sound and words, I wanted to learn the proper tools and tips needed to professionally speak from my core, to deliberately express who I am without doubt. When I came to Vocal Awareness, I learned that and much more. A. “I remember the exact “Ah-Ha” moment with my Work with Arthur. Unbeknownst to me, Arthur was trying to pry open a sealed door of emotions so that I could begin expressing my true Self. He took the time to listen, and, more importantly, heard my hurt, my story, my experience and what emotional blocks were affecting my expression. “Arthur knew that yoga is a passion of mine and asked me to show him how I would express my Self in a yoga posture to God, to the universe. It was that moment that opened my mind, the door to my heart to let Arthur in, and my very being to understand the simplicity and profound power of Vocal Awareness. A. 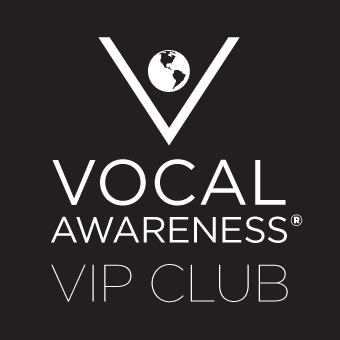 “The biggest benefit of my practice of Vocal Awareness is being aware that Voice is Power. The Rituals; the tools; and the “Caring, Loving Breath” taken at precise moments all help take me back to Source, to my Self and keep me in the moment. As a New Yorker and one with a New York accent, I also appreciate that Vocal Awareness doesn’t “change” who I am, it connects me more closely to who I am. All this and it enabled me to learn to stick out my tongue and put fingers in my mouth without hesitation!